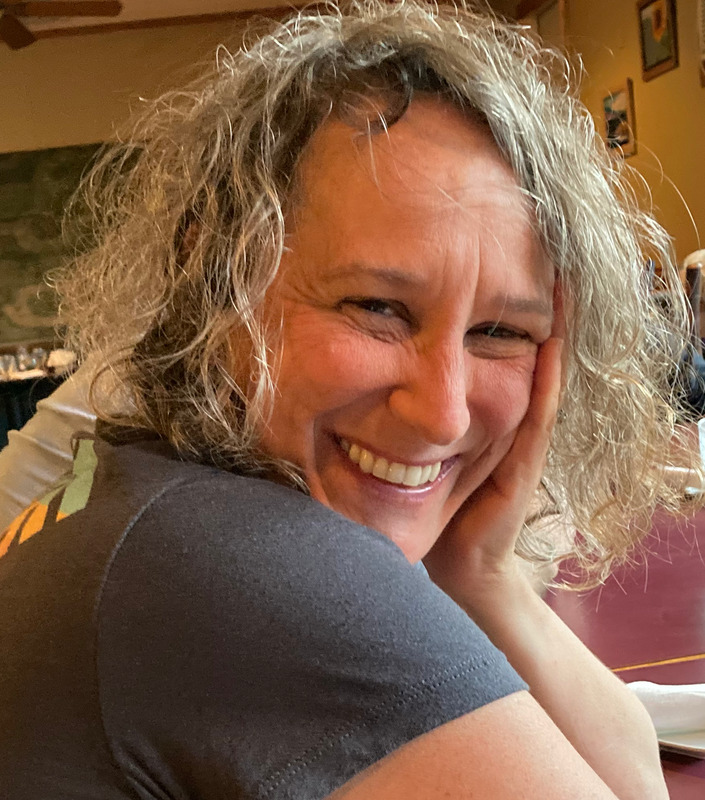 I am an Associate Professor in the University of New Mexico's Department of Linguistics and Department of Spanish and Portuguese. My primary interests include child language acquisition, bilingualism, and language contact. Much of my research to date has focused on patterns of morphosyntactic variation in Spanish, examining how these patterns are acquired during childhood and how they change in situations of language contact. 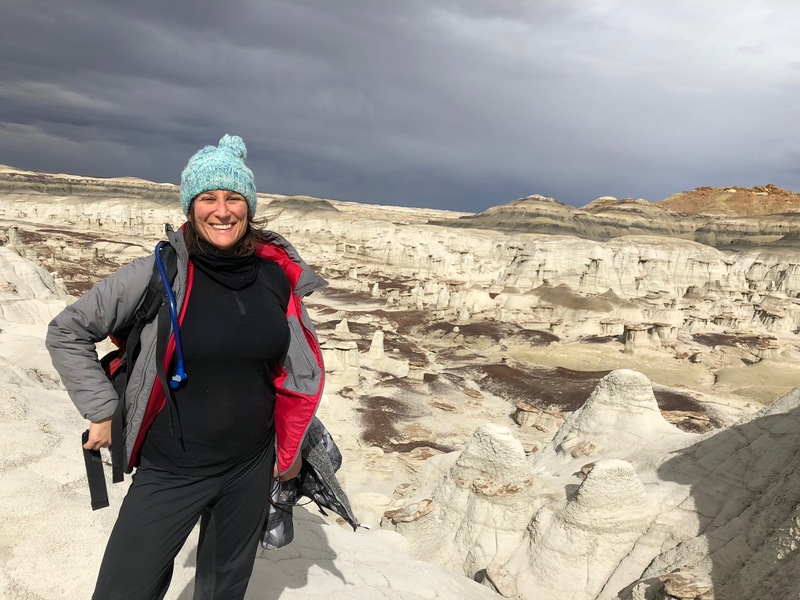 I am an Associate Professor of Hispanic Linguistics and Linguistics at the University of New Mexico. My primary interests include child language acquisition, bilingualism, and language contact. Much of my research to date has focused on patterns of morphosyntactic variation in Spanish, examining how these patterns are acquired during childhood and how they change in situations of language contact. Forthcoming (accepted). Shin, Naomi L. & Jill P. Morford. Demonstratives in Spanish: Children’s developing conceptualization of interactive space. To appear in Sessarego & Colomina-Almiñana (Eds). 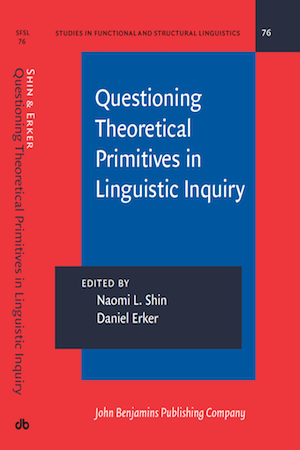 Advances in Spanish and Portuguese Linguistics (tentative title). John Benjamins. Forthcoming (accepted). Shin, Naomi L. Bilingual acquisition of constraints on morphosyntactic variation: Children’s Spanish subject pronoun expression in the U.S. To appear in Aurélie Nardy, Anna Ghimenton, and Jean-Pierre Chevrot (eds. ), Sociolinguistic variation and language acquisition across the lifespan. John Benjamins. Forthcoming. Otheguy, Ricardo & Naomi L. Shin. A functional-semiotic perspective on explanatory streams in sociosyntactic theory. In Tanya Christensen & Torben Juel Jensen (eds. ),Sociosyntax: The relation between social and linguistic factors in explaining syntactic variation and change. 2018. Shin, Naomi L. Child heritage speakers’ Spanish morphosyntax: Rate of acquisition and crosslinguistic influence. In Kim Potowski (ed. ), Handbook of Spanish as a heritage language. Routledge. 2018. O’Donnell Christoffersen, Kathryn & Naomi L. Shin. ‘You live in the United States, you speak English,’ decían las maestras: How New Mexican Spanish speakers enact, ascribe and reject ethnic identities. In Reem Bassiouney (ed. ), Identity and Dialect Performance: A study of communities and dialect, 160-178. Routledge. 2017. Shin, Naomi L. & Mary Hudgens Henderson. 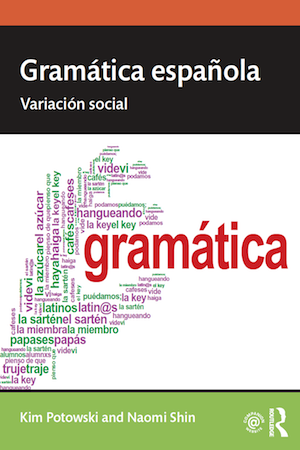 A sociolinguistic approach to teaching Spanish grammatical structures. Foreign Language Annals 50(1), 195-213. 2017. 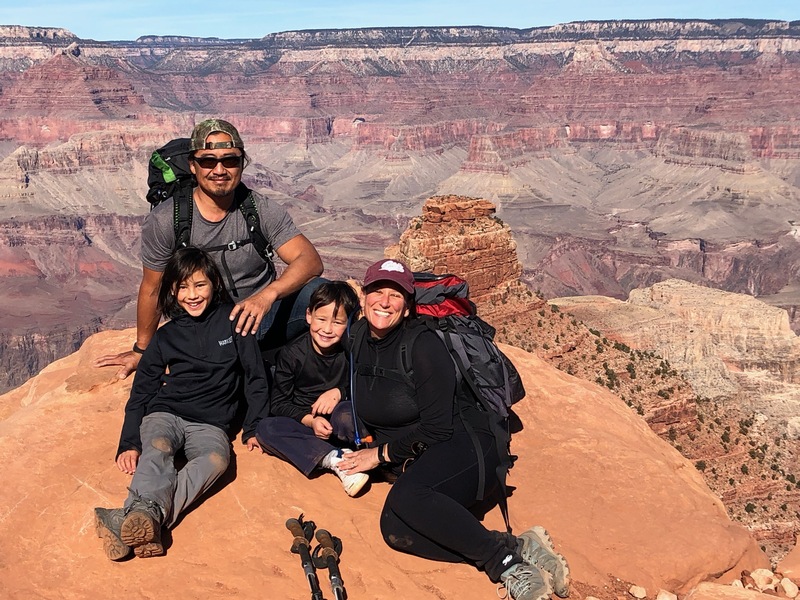 Shin, Naomi L., Pablo Requena & Anita Kemp. Bilingual and monolingual children’s patterns of syntactic variation: Variable clitic placement in Spanish. In Alejandra Auza and Richard Schwartz (Eds. ), From typical language development to language disorders in Spanish-speaking children: Language processing and cognitive functions, pp. 63-88. Springer. 2017. Erker, Daniel, Eduardo Ho-Fernández, Ricardo Otheguy & Naomi L. Shin. The order and expression of nominal and pronominal subjects among first- and second-generation Cubans in the U.S. In Alejandro Cuza (ed. ), Cuban Spanish Dialectology: Variation, Contact and Change, pp. 63-82. Washington DC: Georgetown University Press. 2016. Shin, Naomi L. Acquiring constraints on morphosyntactic variation: Children’s Spanish subject pronoun expression. Journal of Child Language 43(4), 914-947. 2016. Shin, Naomi L. & Jackelyn Van Buren. Maintenance of Spanish subject pronoun expression patterns among bilingual children of farmworkers in Washington/Montana. Spanish in Context 13(2), 173-194. 2016. Shin, Naomi L. Children’s Spanish subject pronoun expression: A developmental change in tú? In S. Sessarego & F. Tejedo (Eds. 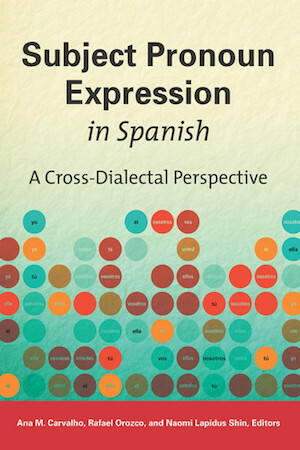 ), Spanish Language and Sociolinguistic Analysis, pp. 155-176. Amsterdam/Philadelphia: John Benjamins. 2016. Woods, Michael R. & Naomi Lapidus Shin. "Fijáte...sabes que le digo yo." Salvadoran voseo and tuteo in Oregon. In M.I. Moyna & S. Rivera-Mills (Eds), Forms of Address in the Spanish of the Americas, pp. 305-324. Amsterdam/Philadelphia: John Benjamins. 2015. Shin, Naomi L. & Daniel Erker. The emergence of structured variability in morphosyntax: Childhood acquisition of Spanish subject pronouns. In Ana M. Carvalho, Rafael Orozco & Naomi Shin (eds. ), Subject Pronoun Expression in Spanish: A Cross-dialectal perspective, pp. 169-190. Washington DC: Georgetown University Press. 2015. Carvalho, Ana, Rafael Orozco, & Naomi Shin. Introduction. In A. Carvalho, R. Orozco & N. Shin (Eds. ), Subject Pronoun Expression in Spanish: A Cross-dialectal perspective, pp. xiii-xxvi. Washington DC: Georgetown University Press. 2014. Shin, Naomi L. Grammatical complexification in Spanish in New York: 3sg pronoun expression and verbal ambiguity. Language Variation and Change 26(3):303-330. 2014. Shin, Naomi L. & Cecilia Montes-Alcalá. El uso contextual del pronombre sujeto como factor predictivo de la influencia del inglés en el español en Nueva York. Sociolinguistic Studies 8(1). 85-110. 2014. Villa, Daniel, Naomi L. Shin, & Eva Nagata. La nueva frontera: Spanish-speaking populations in Central Washington. Studies in Hispanic and Lusophone Linguistics 7(1), 149-172. 2013. Shin, Naomi L. & Ricardo Otheguy. Social class and gender impacting change in bilingual settings: Spanish subject pronoun use in New York. Language in Society 42, 429-452. 2013. Shin, Naomi L. Women as leaders of language change: A qualification from the bilingual perspective.In Ana Maria Carvalho & Sara Beaudrie (eds.) Proceedings of the 6th International Workshop on Spanish Sociolinguistics, 135-147. Cascadilla Proceedings Project. 2013. Linford, Bret & Naomi L. Shin. Lexical Frequency Effects on L2 Spanish Subject Pronoun Expression. In Jennifer Cabrelli Amaro, Gillian Lord, Ana de Prada Pérez, and Jessi Elana Aaron (eds. ), Selected Proceedings of the Hispanic Linguistics Symposium 2012, 175-189. Cascadilla Proceedings Project. 2012. Shin, Naomi L. & Helen Smith Cairns. The development of NP selection in school-age children: Reference and Spanish subject pronouns. Language Acquisition 19(1), 3-38. 2012. Shin, Naomi L. Variable use of Spanish subject pronouns by monolingual children in Mexico. In K. Geeslin & M. Díaz-Campos (eds), Proceedings of the 2010 Hispanic Linguistics Symposium, 130-141. Cascadilla Proceedings Project. 2011. Montes-Alcalá, Cecilia & Naomi L. Shin. Las keys vs. el key: Feminine gender assignment in mixed-language texts. Spanish in Context 8(1), 119-143. (2010). Shin, Naomi L. 2010. Efficiency in lexical borrowing in New York Spanish. International Journal of the Sociology of Language. 2010(203), 45-60. 2009. Shin, Naomi L. & Ricardo Otheguy. Diminishing sensitivity to continuity of reference: Subject pronoun use in New York City. In Manel Lacorte & Jennifer Leeman (eds.) Español en Estados Unidos y en otros contextos: Cuestiones sociolingüísticas, políticas, y pedagógicas, 111-136. Madrid/Frankfurt: Iberoamericana/Vervuert Verlag. 2009. Shin, Naomi L. & Helen S. Cairns. Subject pronouns in child Spanish & continuity of reference. In Collentine, J., Lafford, B., García, M., Marcos Marín, F. (eds.) Proceedings of the 11th Hispanic Linguistics Symposium, 155-164. Cascadilla Proceedings Project. 2005. Lapidus Naomi & Ricardo Otheguy. Overt nonspecific ellos in Spanish in New York. Spanish in Context 2:2, 157-174. 2005. Lapidus, Naomi & Ricardo Otheguy. Contact induced change? Overt nonspecific ellos in Spanish in New York. In Lotfi Sayahi & Maurice Westmoreland (Eds. ), Selected Proceedings of the Second Workshop on Spanish Sociolinguistics, 67-75. Cascadilla press. Co-author: Ricardo Otheguy. Download here. 2005. Otheguy, Ricardo & Naomi Lapidus. Matización de la teoría de la simplificación en las lenguas en contacto: El concepto de la adaptación en el español de Nueva York. In Luis Ortiz López & Manel Lacorte (Eds. ), Contactos y contextos lingüísticos: El español en los Estados Unidos y en contacto con otras lenguas. Madrid/Frankfurt: Iberoamericana/Vervuert, pp. 143-160. 2003. Otheguy, Ricardo & Naomi Lapidus. An adaptive approach to noun gender in New York contact Spanish. In Richard Cameron, Luis López & Rafael Núñez-Cedeño (Eds.) A Romance Perspective on Language Knowledge and Use, 209-232. Amsterdam: John Benjamins Publishing Co.
2015. Shin, Naomi L. Review of Bilingual Language Acquisition: Spanish and English in the First Six Years by Carmen Silva-Corvalán. Heritage Language Journal 12(3). 314-321. 2010. Review of El español en contacto con otras lenguas by Carol A. Klee & Andrew Lynch. Journal of Language Contact Varia 3: 150-155. 2014. Review of Structure, Meaning, and Acquisition in Spanish. Papers from the 4th Hispanic Linguistics Symposium by James F. Lee, Kimberly L. Geeslin & J. Clancy Clements (Eds.). Spanish in Context 2(1): 152-158.